Ha! Jonathan and I are being tracked. I am tempted to drop another hint, but it's late so I better nix that impulse. Of all the Batman graphic novels I've read recently, my favorite to date is Paul Pope's Batman: Year 100. Really interesting, really beautiful, and certainly something that's given me a lot of food for thought. The graphic novel is set in 2039 - exactly 100 years after the original appearance of the Dark-knight Detective in “The Case of the Chemical Syndicate,” published in Detective Comics #27 in May of 1939. A fact which has some significance with the storyline here. See what I have to say about it here. Just got the very exciting news from Kristine Kathryn Rusch that her story, "G-Men," which I was privileged to publish in Sideways In Crime, has been selected by Otto Penzler and Jeffrey Deaver to be in The Best American Mystery Stories 2009. So the novella will be in both Gardner Dozois' The Year's Best Science Fiction: 26th Annual Collection *and* The Best American Mysteries. Congratulations, Kris! How cool is that? Incidentally, Gardner's anthology will also have "An Eligible Boy" by Ian McDonald and "The Gambler" by Paolo Bacigalupi, both from my other anthology of 2008, the (ahem) PKD-nominated Fast Forward 2. Need some good news? Here's a piece in the Wall Street Journal that points out the NEA finding that for the first time in 25 years, reading is up, and it's up among 18-24 year olds, "the ones who seem to have been born with iPod buds stuck in their ears. They've recently taken the biggest bump up in readership after years of the most significant decline." "I'm all for reading bad books because I consider them to be a gateway drug. People who read bad books now may or may not read better books in the future. People who read nothing now will read nothing in the future." "If someone gave you a device with which you could see entire worlds just by holding it in front of your eyes, worlds of such beauty and complexity that they took your breath away, worlds of suffering and redemption, love and suspense and enlightenment, all of them there for the taking, wouldn't you want to show this device to everyone you knew?" Really proud of this one. My review of Brian Azzarello's Lex Luthor: Man of Steel. I've always had an affinity with Lex Luthor (can you guess why? ), and to see him done right is such a pleasure. As to the comic itself, it is certainly my favorite Superman story to date, and may eventually emerge as one of my favorite graphic novel reads. Rotten Tomatoes lists Ten Sci-Fi Flicks for the Thinking Man. If we can substitute the Soderbergh for the Tarkovsky, then I've seen and enjoyed all ten. 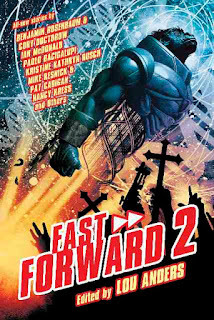 Congrats to all the nominees, and a special shout of gratitude to everyone who contributed to Fast Forward 2! Update 1/14/09: Kristine Smith's Endgame is apparently ineligible. It has been removed from the list, and replaced with my friend Jeff Carlson's Plague War. Congratulations Jeff! I'm up on Rick Kleffel's Agony Column podcast talking about what Rick calls "The New Fantasy," and covering works by Joe Abercrombie, Tom Lloyd, Joel Shepherd, James Enge, Justina Robson, Mark Chadbourn, Matthew Sturges, Chris Roberson and others. We even discuss Doctor Who's latest casting announcement and the effect Obama may have on genre fiction. Here's the direct link, and the show is available via iTunes as well (it's episode 555). 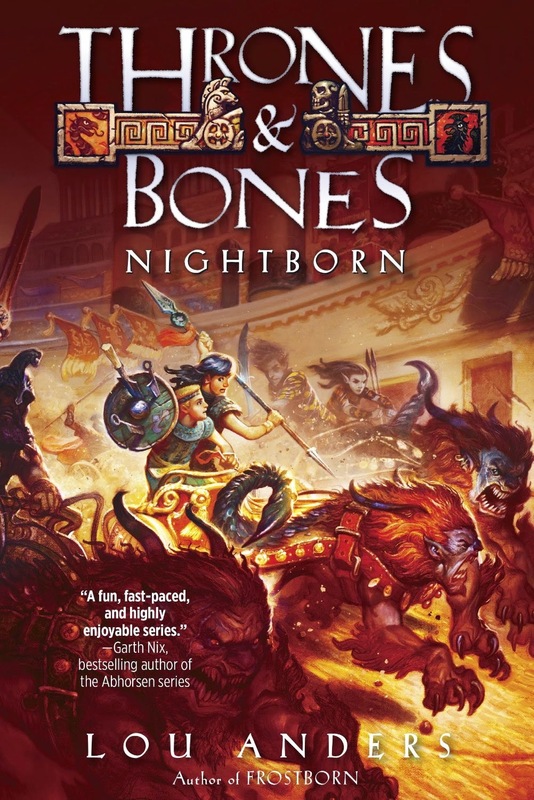 "What's darker, grittier and sells better than expected in days such as these which are already dark and gritty enough without the help of excellent fantasy writers? 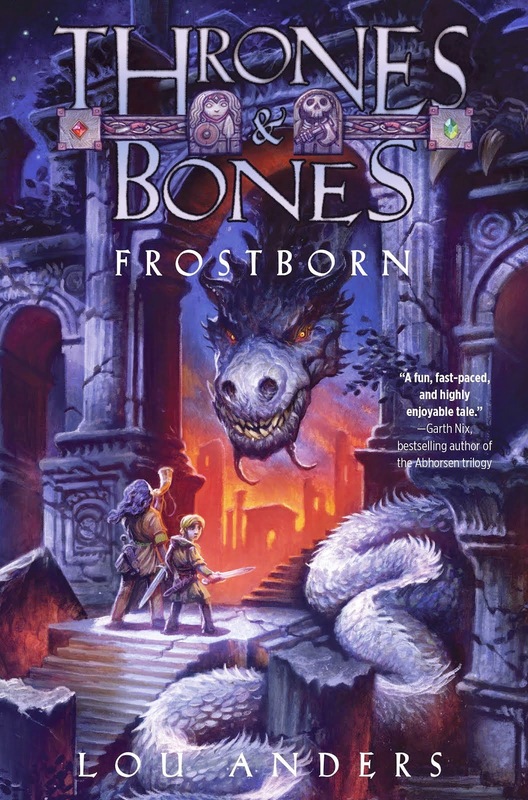 Well, it's what I'm going to call for want of a better term, The New Fantasy, and since Lou Anders of Pyr Books is publishing a boatload of it in the upcoming months, I thought I'd give him a call. Lou Anders is a lucky guy. His job is to read a bunch of great fiction and then publish it, and as it happens — or at least as he observes and I concur — fiction does well during recessions. So what's going to happen to the fiction market during a full-blown, we're-wearin'-barrels Depression? Looks like it's boom times for genre fiction. 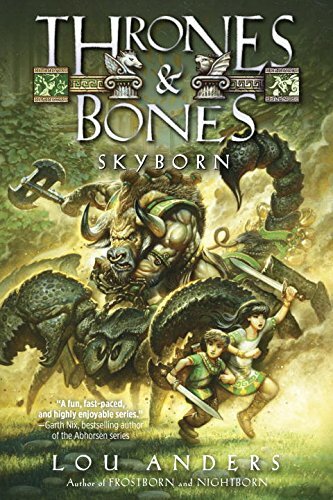 Lou and I explored The New Fantasy and talked about Pyr's and other publishers current and upcoming titles." Yes, it's that time again. This year, I am eligible for both the Long Form and Short Form Best Editor categories, and there are several eligible novels out from Pyr as well. 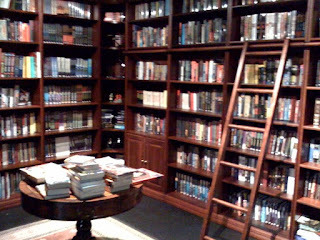 And so, for your award-nominating convenience, here are all the books for which I served as editor in 2008 at Pyr. Novels that debuted in 2008 are in BOLD. Very proud of all these books and authors, quite a few of which are showing up on the various Best of 2008 lists online. And I'm very pleased as well that quite a few entries from Fast Forward 2 are showing up in the various Year's Bests' table of contents. 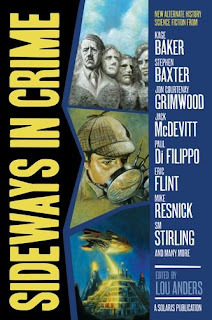 And though it wasn't Pyr, the other anthology I edited in 2008 was the alternate history mystery, Sideways In Crime, and very proud of it too I am. I can't see it. But they've had impeccable casting sense so far. I've got a piece on the the state of American science fiction literature and cinema in the Winter 2008 issue of DeathRay magazine, which I know is at least on shelves in the US in Barnes & Nobles now. Also in the issue is a short story from and interview with Mike Resnick, as well as a profile of Peter Beagle and a piece on Marie Brennan (Midnight Never Come). There's also a two-page shout out of support for the major short fiction magazines. As ever, I continue to be impressed with the amount of pages DeathRay devotes to coverage of the literature of SF&F. Check it out. I review Brian Azzarello's Joker for Tor.com. I enjoyed Joker very much, but it misses the mark in a crucial way. It's time again for SFSite's Annual SF Site Readers' Choice: Best Read of 2008, where you can vote for your favorite books of the past year. Deadline for voting is February 6, 2009, midnight Eastern Standard Time. Rules and guidelines at the link. May the best books win! Found this in an old file of odds and ends, dated June 13, 2001. Not sure of the source. A piece in the New Scientist, via James Enge, the universe, if it collapses, may not crunch. It may bounce. For some reason, this makes me really happy.